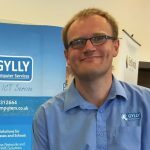 Ian formed Gylly Computer Services in 2011, after working for Cornwall Council since leaving School. Ian’s most recent role for Cornwall Council was as the dedicated IT Technician responsible for maintaining the IT systems for Cornwall Fire and Rescue Service. Ian has a wealth of technical and project management experience and is our Technical Lead. When not working, Ian enjoys spending time with his wife Sophie, their 4 year old son Jago and Sprocker Dog Gylly. Simon came on board as part of the exciting merger between Gylly Computer Services and Phoneta. He has have been given the opportunity to direct, with my co-director Ian Mitchell, the newly formed Communications arm of Phoneta. Outside of his time in the office Simon enjoys kicking back and relaxing with the family! 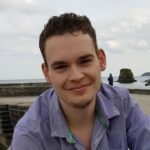 Jack joined Gylly in January 2019, he comes with a wealth of knowledge and from a much larger and well established IT service provider in Devon. 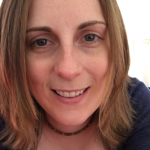 Bryony runs Dynamek and has recently come on board as our inhouse Creative Web Developer, who is available to provide assistance in all things web! For any web and graphic design services, website development as well as hosting services, please get in touch with Bryony!